You know, part of the reason why it is so difficult for so many of us to move on with our lives and take control of our future is because we are stuck in the past. We are constantly spending time going over why something happened or it occurred. The lower division of our spirit called in Kamta the sahu (or the subconscious part of our being) makes us want to know why a thing occurred. It forces us to seek a “logical” explanation, so that it will not occur again. It is sort of like the first time we touched something hot. It was our sahu that remembers the pain and reminds us so that we do not burn ourselves again. But, there are something that can’t be explained by logic alone. For instance, a lot of people still ask the question why were some of the Native Americans in the Caribbean, North and South America defeated the way they were? 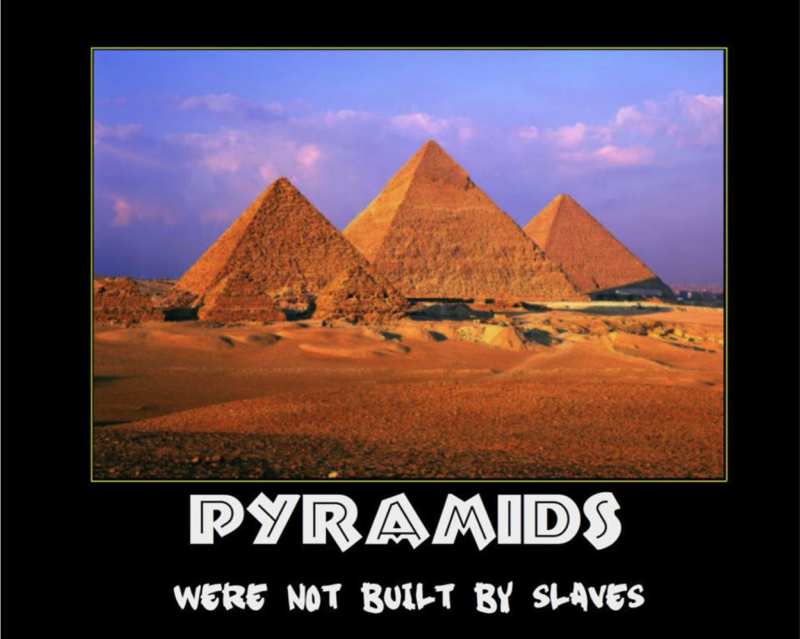 Why did slavery occur? Really, because we are a spiritual minded people even when we don’t want to be, what we really want to know is why did God allow genocide and slavery to occur? In fact, let’s go a little bit deeper, why does God allow evil to exist? I mean really, why does God allow terrorists to bomb churches with four little girls or bomb mosques and other religious sites? 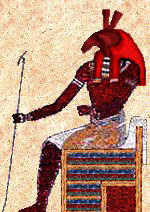 Now, Hru (Heru or Horus in Greek), the hero of the story engages his evil uncle Set on the battlefield, but his victories are not consistent and most of them end in stalemates. In one epic battle, Set manages to get close enough to our hero and is able to gouge out his eye. Hru I imagine, battered, blinded in one eye and hard to see out of the other, flees and finds his father’s old vizier Djahuti (Tahuti, Tehuti or Thoth). Through magical means Djahuti repairs Hru’s eye perfectly. As a result, today people from all walks of life happily adorn their bodies and themselves with this Eye of Hru because they understand that it is a symbol of protection but, why and how? The fact that Ra, in this case, symbolizes the Creator and is Osar’s and Set’s grandfather could mean the farther one gets away from the Light or the Source, the easier it becomes to lose your way. 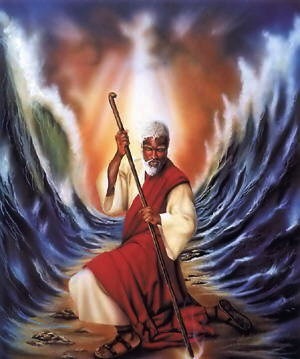 Another point that I want to bring out is that because Ra is the grandfather of both Osar and Set, means that the Creator is not bias and doesn’t see the world as we do in black and white, right and left, correct and incorrect. It is all relative to the Creator because to the Divine they are all two sides of the same coin. A while ago, it was put to me this way, that the same life energy that fills your lungs also fills the lungs of our enemies, which means the Divine stays out of the whole matter. One can say that the Divine sees the fight between Osar and Set as sibling rivalry. Think about that the next time you wonder why God allows certain injustices to occur, that the Divine has no say so in the matter. This is because from a spiritual perspective, both good and evil are needed to justify the other’s existence, hence the whole good and evil dichotomy is actually a cycle where one experiences highs and lows. Note this is why Osar sought Ra in the first place because his people were wild and out (the low). Then Osar introduced to them the Maa and they became civilized (the high). Next, Set usurps the throne and forces the people back into a world of ignorance (another low). I am highlighting this part so that you can reflect back on your life and see the high and low periods in your life. Note when you are in the highs or at the low points, because this is you life pattern. For instance, I have noticed that I usually get a lot of material blessings around February and March, which is my annual zenith. I can’t explain it, I just know that that is when one of them usually occurs and I have a second one as well. It is like I get a sudden burst of blessings then they wane like the waning moon. So chart your annual cycle. You can also chant your monthly, weekly and daily cycles as well. The monthly cycles are relatively easy because this is when most of us get a paycheck. Notice your energy level. Take note if things are exciting or chaotic because of bills. As with the weekly cycle, note how your energy is come Monday. Do you really feel blue on this Moon-day or is it because everyone say you do? Does Wednesday feel like a hump day, can you really see Npu at the crossroad of the week? Are you really looking forward to Nebhet’s Friday, and if so why? Really take a look and see how your energy level is during the day, week, month and year. See how it cycles or oscillates like a serpent or sin and cosine wave. Now, if you have completed the above exercises, you will be able to really appreciate our hero in the Story. Part of the reason Hru exists is to escape that high and low energy cycle from above. In esoteric circles this is called transcending your horoscope. Note using money as an example, we all love when we get some money, but don’t you hate when you don’t have enough money or the money you need to get the things that you want? Of course, because we all hate the lows. Wouldn’t it be great to not have any lows at all? I mean for instance, wouldn’t it be great to have the money you want to take care of your needs all year around and not have to live paycheck to paycheck? Sure it does. Have you ever asked yourself why you have these lows? I means why is it so difficult for you to save money or keep enough money so that you don’t live paycheck to paycheck? Have you ever noticed that when you try to save money there is a part of you that fights your decision and wants you to spend all of your money on the things you want? Notice also that every time you try to save your money, something always comes up unexpected? This is where Djahuti comes into the Story and reveals to Hru (by repairing his eye) that our universe was built upon the foundation of Maa. This means nothing unexpected happens. It might not have been planned but nothing happens by chance. That’s right. There is no such thing as coincidences in the traditional African worldview. Everything is based upon cause and effect regardless if you can see or understand it or not. The trick of Set is to convince us that our universe has no order and that everything is based upon what we physically see, but this is an illusion. This is the reason Set rules over the desert region of TASETT on the Maa Aankh, which is full of mirages or explained in the Christian lore as the lord of the earth and flesh. Another interesting point is that the Right Eye of Ra corresponding to Ra moment hovering over TASETT, also represents logical thinking. Meaning, this is the reason logically we are not able to defeat our enemy because we are relying upon the same resources that our enemy uses, who is older and more powerful.) 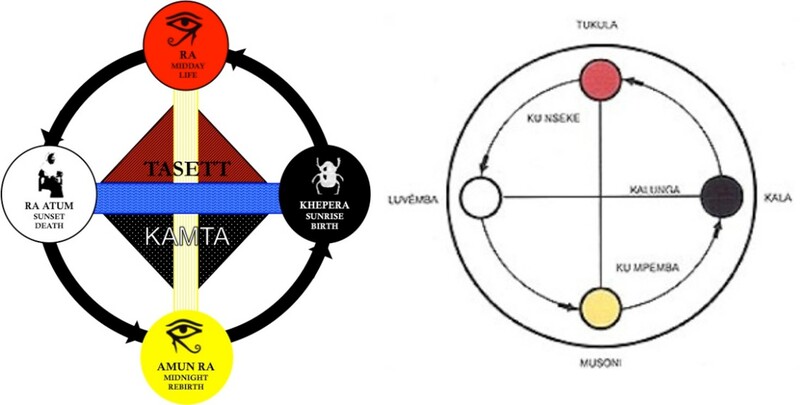 This is why in order to see past the illusion, we must remember that according to the Maa Aankh and other African cosmologies, that the physical emerged out of the spiritual, hence it is our thoughts, ideas, etc. that shape our physical reality. That’s correct. Everything that you physically see is basically the end product, the end or final result whose origins exist in the unknown, invisible, spiritual realm called KAMTA. Set would have us to believe that grasses, plants and trees just sprout of nowhere, thanks to the Maa and Djahuti the master of science, we know that all plant growth comes from a seed. This means there is a hidden reality beyond our physical reality that makes the things that we see manifest themselves physically. Hence, Hru’s eye is repaired. As you know, once Hru’s eye was repaired he defeated Set on the battlefield. No fuss. No muss, because now he has a holistic view, hence Two Eyes are better One. I say all that to say that evil exists to show us our weaknesses, so that we can overcome them – that is the impurities within our soul. As to why does God allow evil to exist. The hard truth for many of us to swallow is that God has no say so in the matter because the Divine gave us all free will through Hru. This is the reason God will never physically appear before you and physically take a cigarette out of our hand because it is harmful to your body. Nor, will the Divine take a bottle of poison out of our hands and prevent you from ingesting it. If the Divine saved us from our own unwise decisions all the time, how would we ever learn and take responsibility for our own life? How would we know how to manipulate fire to cook our food, warm our homes, fend off invaders, etc. if we never got burned? Set the Lord of Chaos, Confusion and Disorganization brings about losses to show the limitation of the physical realm or TASETT and the problem with relying solely upon what we see, which is represented by the Ra moment (Midday Sun – Life) falling and becoming Ra Atum (Setting Sun – Death, our spiritual death or demise) on the Maa Aankh(see above).